The book also provides fully working implementation using the lastest features of Java. Since a lot of Java programmers are not familiar with the newest features, I have included an introduction to those features as and when appropriate. This makes the book sort of standalone and the readers don't have to keep looking for other books or the web to clarify those topics. What is covered I have started with the basics of asymptotic complexity and went onto covering linked lists, stacks, queues, trees, binary trees, search trees, hash tables, and graphs. In algorithms, of course I have covered searching and sorting algorithms along with traversal of datastructures, and certain specific algorithms for specific datastructures. Along with this, I felt that a functional view of algorithms is also required to be studied and I have included a discussion on functional programming as well. I have shown an inclination to a functional style of implementation of algorithms, although I have kept away from it and resorted to procedural style when the functional style would be too inefficient. The prefrence towards a recursive style of implementation makes the algorithms very intuitive to understand and follow. I have also included a discussion on concurrent algorithms and reactive programming, although this part is very basic. How to get this book This book is currently incomplete and is work in progress. You can however get an early access from the Packt Website. 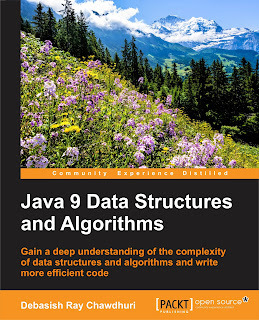 You just have to click on the link https://www.packtpub.com/application-development/java-9-data-structures-and-algorithms . The early access gives you access to pre-reviewed draft of the chapters as they are writen. This gives you access to content as early as possible. This is as good as reading my blog, the content is available as soon as I write it up. 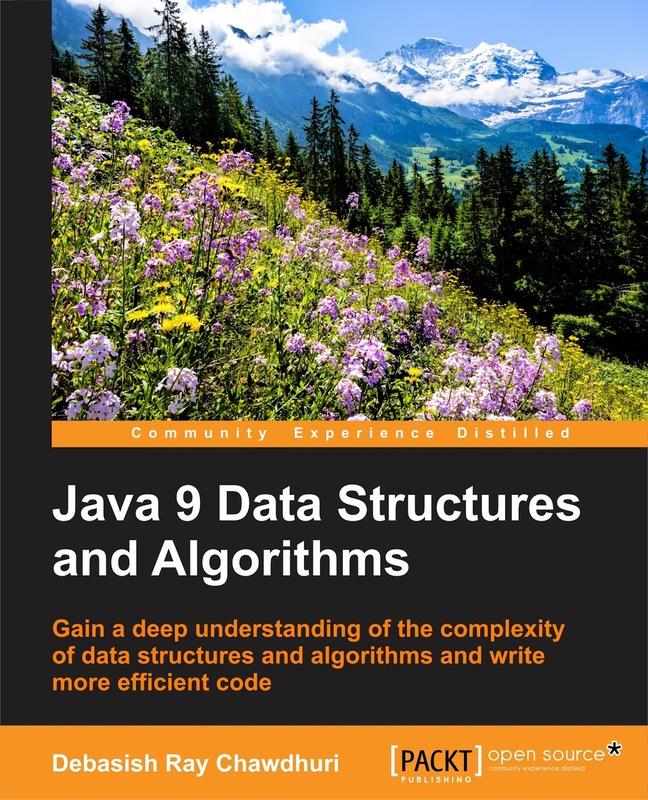 To know more, you can click on https://www.packtpub.com/application-development/java-9-data-structures-and-algorithms.